This enjoyable, laughter-filled class is currently being offered as a Teleclass on Tuesday evenings, on an ongoing basis. If you can get to the phone, you can attend the class from wherever you are. Sometimes it is offered in person in the Asheville, NC office of The School of Peace. It is appropriate for anyone at any level … beginners will be comfortable and successful in these basic exercises. Advanced practitioners of intuition will still find plenty of useful information and tips. A person may sign up for the whole series, or drop in and out for a few classes as is convenient for them. Each class functions well as a stand-alone event. “The Lotus” refers to the crown chakra, where communication with higher dimension connects into our mundane senses. “The Rose” refers to the heart chakra, where the flow of love keeps us on track for accurate and loving communications. The teaching goes step-by-step through the processes that open up your intuitive abilities, and open up the expanded range of your senses. We explore the use of various flower essences, homeopathics, essential oils and other tools to help the development move as swiftly and harmoniously as possible. In addition to communicating with Spirit, we will also learn techniques to develop Medical Intuitive abilities, and sense within your own body and that of others. You will learn to sense and identify different types of energy, and learn to send and receive different types of energy in relation to the body. The series of classes has no defined end. There is, however, a series of recordings of the first 8 classes that can be downloaded. 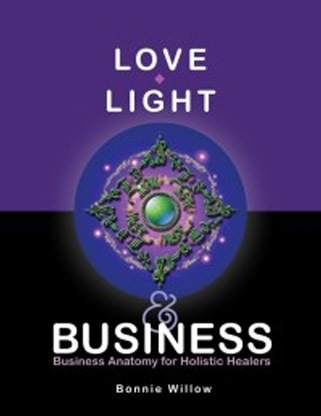 Bonnie is available to travel in order to teach this in workshop format, if desired.